Legacy Vacation Club Lake Buena Vista is less than two miles from the Walt Disney World area and is also close to dinner-theater shows world-class shopping championship golf a multitude of dining options for breakfast lunch and dinner and all other major Orlando theme park attractions. The resort offers spacious mini suites 1-bedroom suites or 2-bedroom deluxe suites. Mini suites have kitchenettes while spacious 1 and 2-bedroom deluxe suites provide full kitchens dining and living areas and master bedroom accommodations. 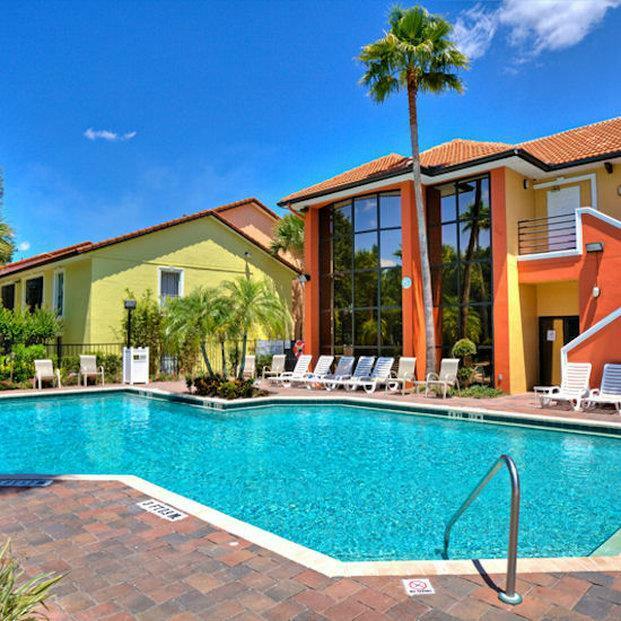 Legacy vacation club lake Buena Vista is less than two miles from the Walt Disney world area and is also close to dinner-theater shows world-class shopping and championship golf. Reservations may be cancelled up to 72 hours prior to arrival to avoid a penalty of one nights room and tax. Enjoy and under the sea adventure at SeaWorld Orlando. Your family will love the daring acts of showcased in the Shamu Show plus wildlife rides and more. The thrills of the movies come to life at Universal Studios Orlando. Enjoy theme park fun at its best with rides entertainment food and tons of fun. Discover the magic of all 4 Walt Disney world theme parks with all your favorite characters rides entertainment and more.